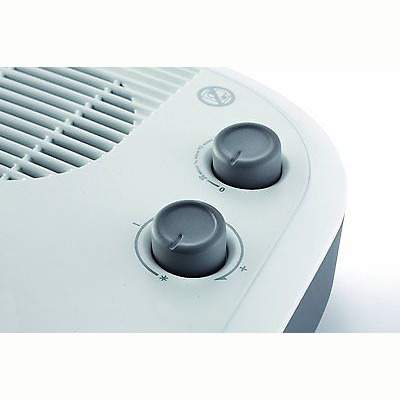 This traditionally-shaped fan heater from Delonghi offers some very modern features. Easy-to-use, it also includes an option to switch to “Cool Air Mode” in the summer months. A thermostat allows you to select your desired temperature - the heater will automatically switch off when that temperature is reached. Two heat settings allow you to fine-tune the heat output. For extra peace of mind, the heater will turn itself on if the temperature in your home drops below 5 degrees, so preventing frost damage to pipes and fittings. The shape of this heater is ideal for use on a table top, or where extra warmth is required at floor level.